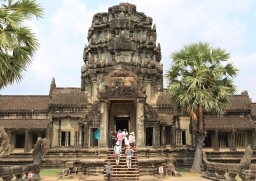 Upon arrive in Siemreap, you will be welcomed by our guide and transfer to the hotel. Your room is available after 14:00 p.m. Free time to explore the kingdom of Khmer people. Overnight in the hotel. 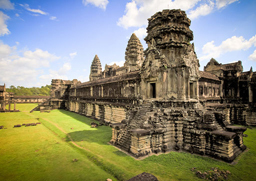 After breakfast, transfer to visit the South Gate of Angkor Thom (Great city), the famous Bayon temple built in the late 12th century and Baphoun temple dedicated to Shiva – the Hindu God, Terrace of Elephant, Terrace of Leper King and Phimeanakas ( Heavenly Palace). 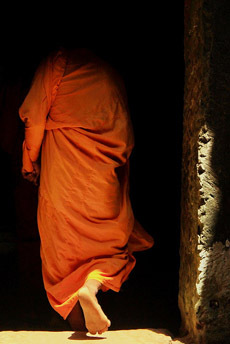 In the afternoon, transfer to visit the World Heritage "Angkor Wat" - the world's largest religious building. Wrap up the day with a visit to the Bakheng Hill temple for an incredible sunset from the top of the hill. Back to hotel. Overnight in Siem Reap. Morning visit to the “Small Circuit” group of temples including: Ta Prohm embraced by the roots of enormous fig trees, one of Jayavarman VII's first major temple projects dedicated to his mother, Thommanon built at the same time with Angkor Wat, Chau Say Tevoda temple, Banteay Kdei – surrounded by four concentric walls, Srah Srang – “The Royal Baths" was once used for ritual bathing and Ta Keo known as “ The mountain with golden peaks” dedicated to Hindu God Shiva. The afternoon spent for visiting the “Grand Circuit” including: Pre Rup- a temple-mountain with beautiful bas reliefs and excellent views of the surrounding countryside, East Mebon- a large temple – mountain dedicated to Shiva in honor of the king’s parents, Tasom- the most distant temple of the Grand Circuit, Neak pean a small island temple originally dedicated to Buddha. 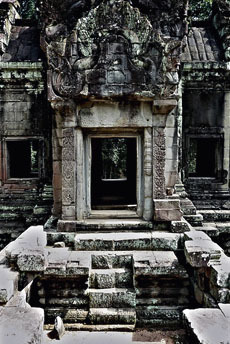 It is most photogenic in the wet season and lastly Preah Khan dedicated to Jayavarman VII's father. Overnight in the hotel. Start our day trip by visiting Kbal Spean known as “The river of thousand lingas” which is 30km from the North of Angkor Wat (1hour drive), closed at 3p.m. Walking through the forest then go down for lunch. Take the road straight to Banteay Srei (meaning the Citadel of women) built at the time when Khmer Empire was gaining significant power and dedicated to God Shiva. 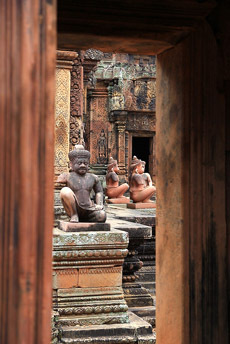 It’s a masterpiece of Khmer Art with small size, pink sandstone construction and ornate design. 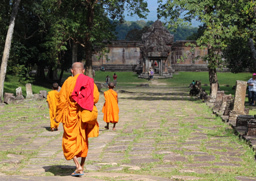 On the way back to Siemreap, we visit to Srah Srang (the royal bath) and Banteay Kdei – a richly decorated Buddist temple . Overnight in the hotel. 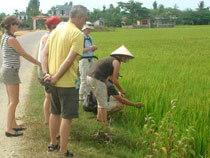 English speaking local guides during the trip. Arrive in Siemreap. Free time for relax.